The City of Pittsburg Water Distribution Division will begin installation of the new 8” water main to replace the existing 4” water main in the Fieldcrest Addition. 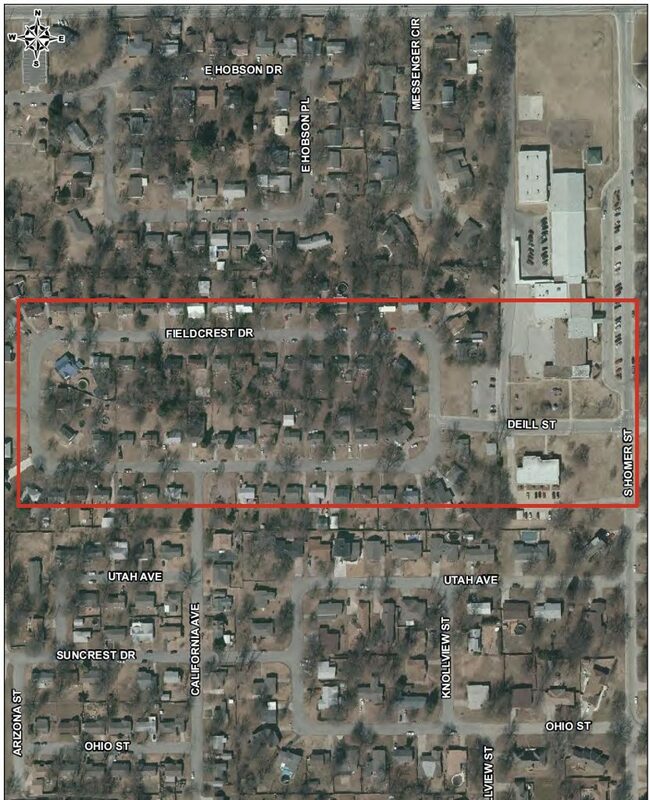 Work will include the replacement of the existing water mains in Deill Street and Fieldcrest Drive with a new 8” water main, installation of new fire hydrants, and new house service lines to the meter. Construction will continue over the next couple of months. Typical construction hours are Monday through Friday from 7:00 am to 3:30 pm. Due to the nature of the work, changes to traffic patterns and traffic delays are expected. At times, sections of Fieldcrest Drive and Deill Street will be closed to through traffic. Motorists are encouraged to seek alternate routes when possible, to use extreme caution when traveling in the area of construction and be aware of workers in the work zone. On-street parking in and near the immediate work area will be temporarily closed as needed. The City of Pittsburg appreciates the patience of motorists and residents while this work is being performed. Please contact the Public Utilities Department at (620) 240-5126 with questions regarding this project.